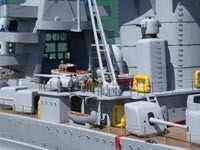 More Really Big Warship Models Underway! 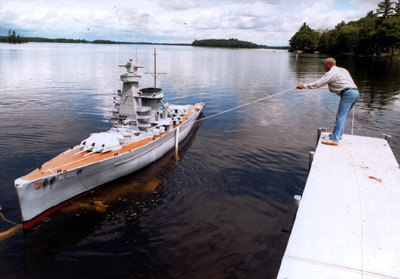 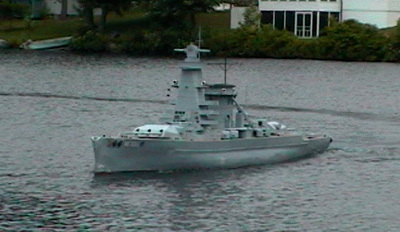 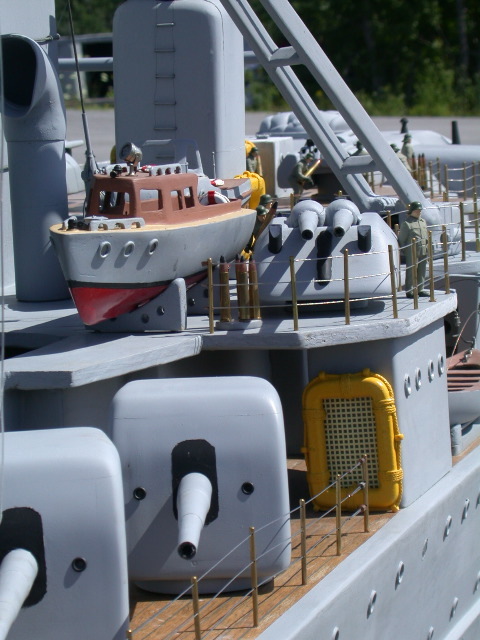 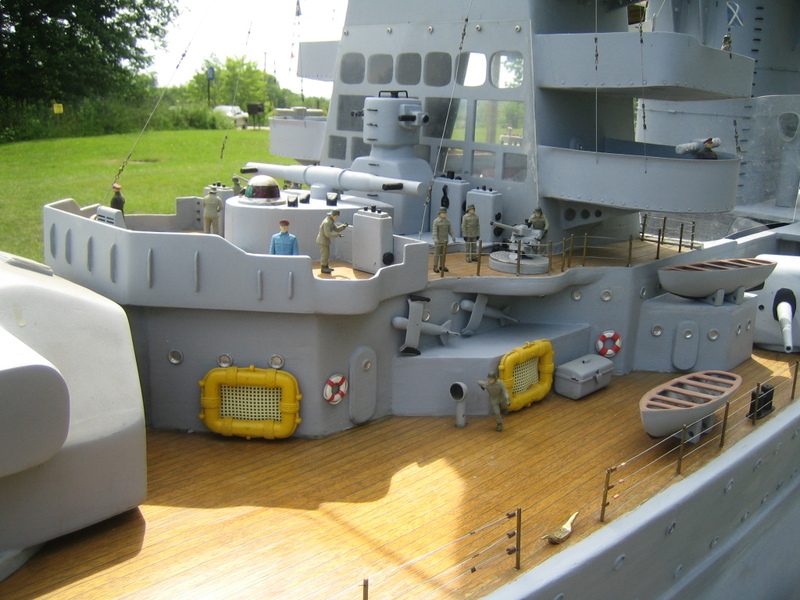 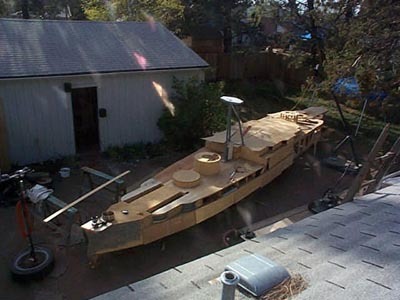 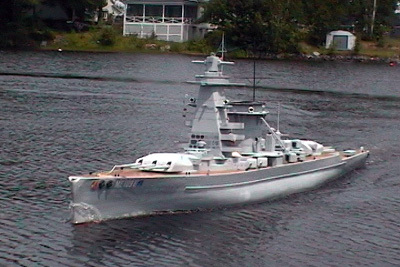 William Terra sends in photos of his 1/20 scale model of the Graf Spee. 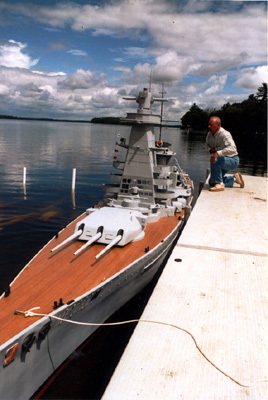 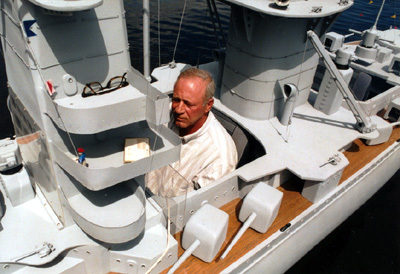 The model is scratch built like a canoe , covered with fiberglass. 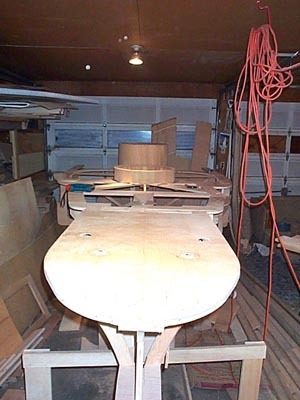 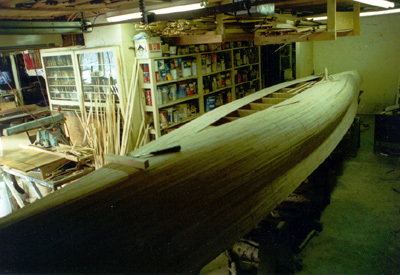 He used 1/4 inch basswood for the skin after flute & beading the edges so they would curve to the shape of form (you can get router bits to put this edge on strip wood from major woodworking supplies, such as Woodcraft, among others). 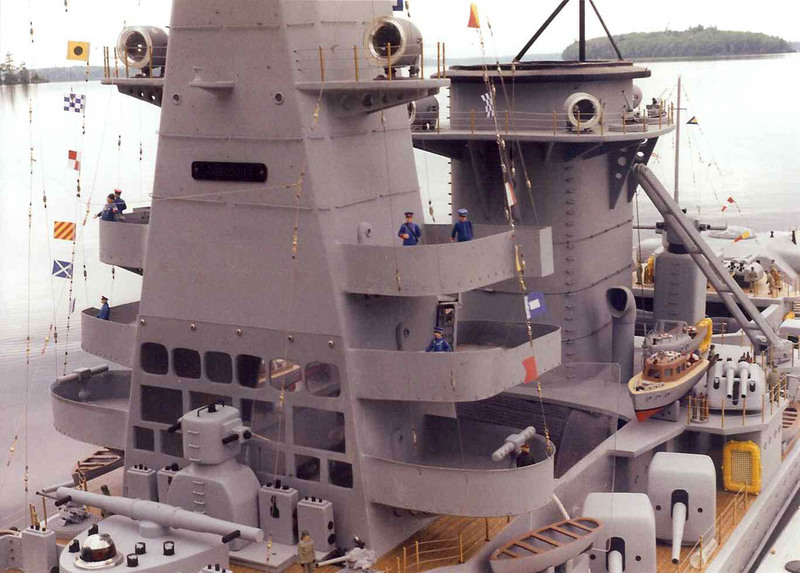 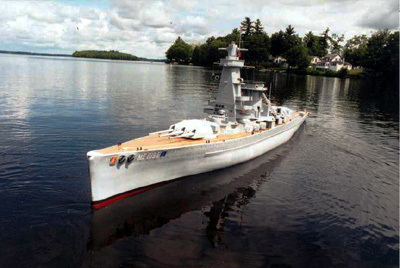 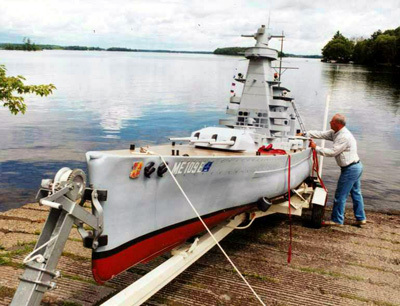 The ship is piloted from inside the conning tower, and has many creature comforts, including a sound system that plays Wagner and other tunes while sailing on the lakes of the state of Maine. 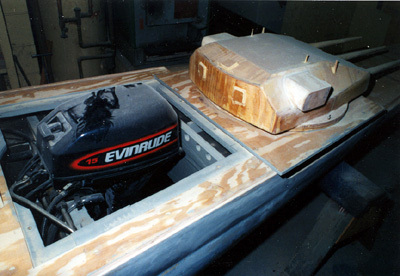 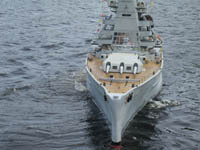 The ship is powered by 15 hp outboard engine under the rear gun turret. 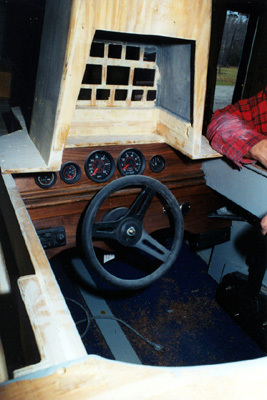 A steering wheel is connected to engine by push cable. 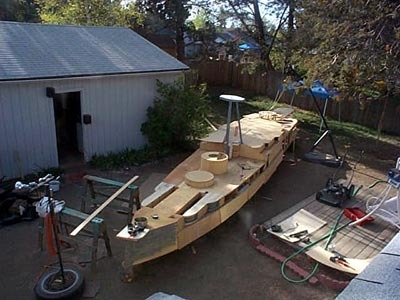 It has 3 water pumps in case water is taken aboard, and lights for night running. 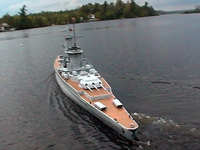 GPS positioning give a technical advantage lacked by the Kriegsmarine during World War II. 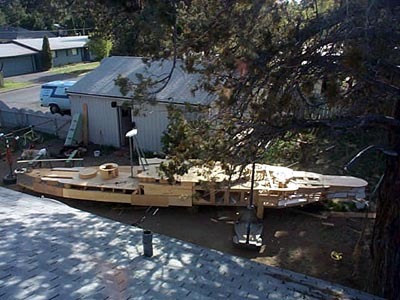 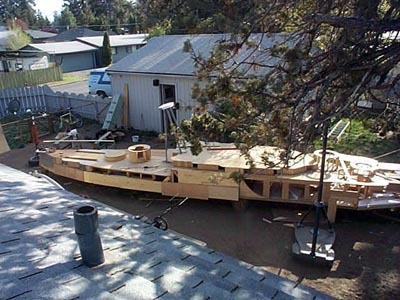 Sean sends in a very large project - the USS Arizona - a 40 foot long model! 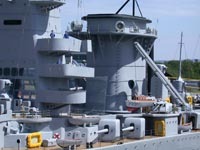 Here is another very ambitious, large scale model - the USS Arizona in roughly 1/15 scale. 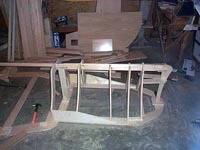 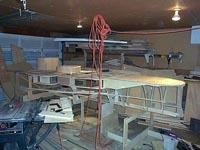 We will post more pictures of this monster as she progresses! 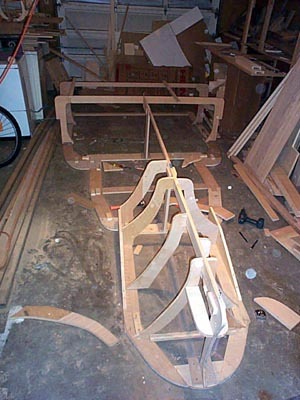 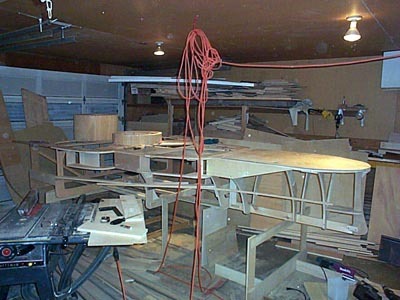 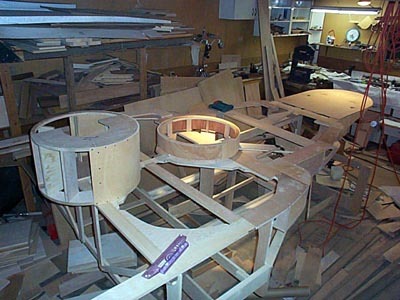 Editors note - I have not heard back from this modeler since these intitial photos some years back.